Stainless steel instrument with a chrome finish thumb lock. Gauge resolution is 0.10mm / 1/16th inch. 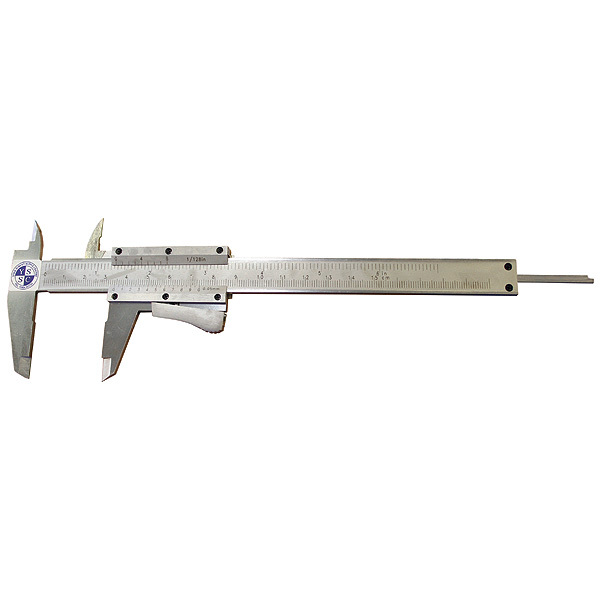 Measuring capacity is 0 - 150mm/ 0" - 6".